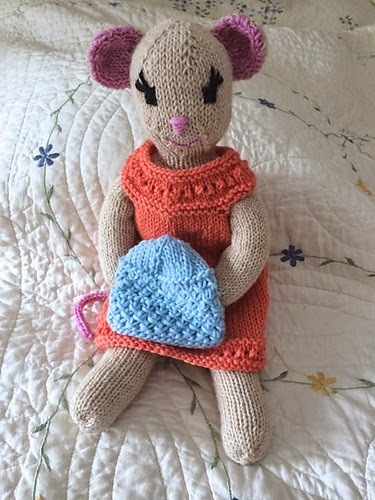 The lovely and talented Gina House recently shared her adorable Phoebe Mouse doll, with her very own teeny tiny Amanda Hat. Isn't she sweet? The original Amanda Hat is published in Gina's collection, Dreamscape. She very kindly provided instructions on how to knit this mini version of her hat for us to use. 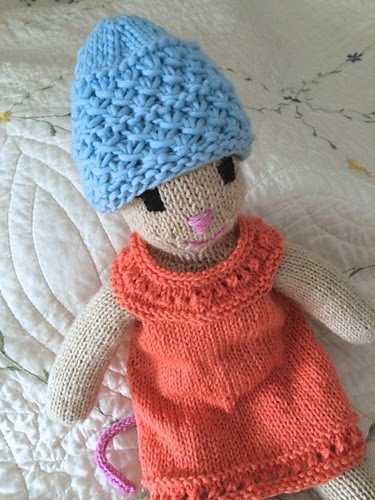 Click here to go to Gina's project page on Ravelry, where you will find the pattern for a little Amanda Hat for Phoebe. You are so sweet. Thank you, Gina!